Pentatonix burst onto the scene in 2011 after winning the third season of NBC’s The Sing-Off, a competition show where a capella groups went head-to-head to compete for a record deal. In the five years since the group took home the crown, their achievements have included singing on a float in the Macy’s Thanksgiving Day Parade, appearing in Pitch Perfect 2, and oh, yeah—winning two Grammys. The Texas-natives can’t be stopped. Last October, their first full-length studio album, Pentatonix, was released, and they've since set out on a headlining world tour in support of the project. 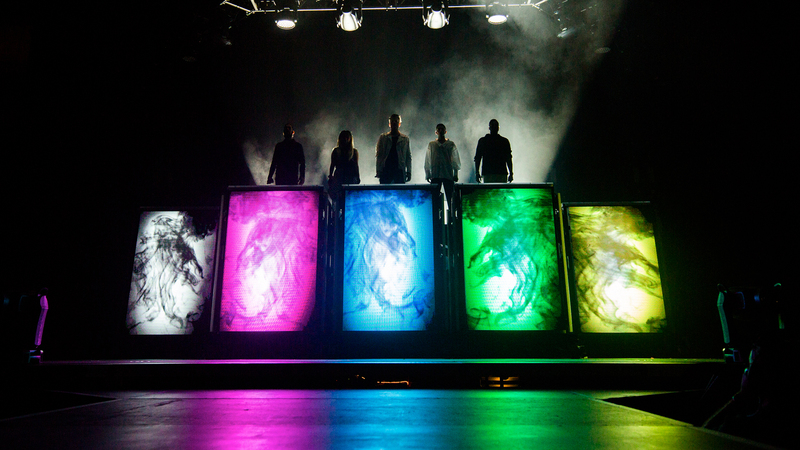 The North American leg is now in full swing, and we had the chance to catch Scott, Mitchell, Kirstie, Kevin, and Avi in Sioux Falls for the big show. Backed by nothing but each other’s voices, the five-piece took South Dakota by storm. They dusted off their fan-favorite, “Daft Punk” as well as their original tune, “Can’t Sleep Love”, and we were there to capture it all. Check out the photos below and then be sure to track Pentatonix on Bandsintown to find out when they’ll be coming to your city!